There are many gutter companies near me that can just throw a set of gutters onto your home, but how many of them can boast the reputation, stability, and reliability of Austin Gutterman? When you do the research, you will find that the professionals at Austin Gutterman stand head and shoulders above the competition. 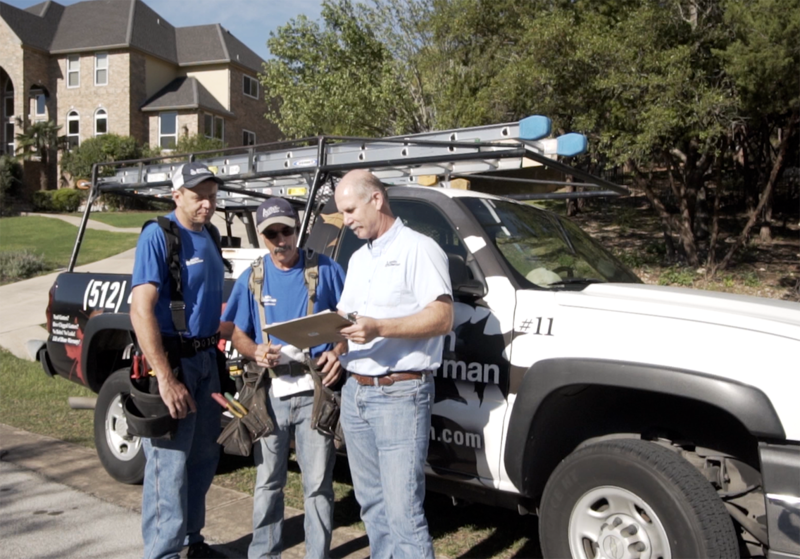 Austin’s oldest, largest and most trusted of the gutter companies near me is Austin Gutterman. Over the decades that Austin Gutterman has provided service to Central Texas, you will find thousands upon thousands of satisfied customers. In fact, over sixty thousand people consider themselves satisfied Austin Gutterman customers of Austin’s oldest, largest and most trusted gutter company. So satisfied are our customers that a full HALF of our customers are referrals from former customers. Gutter companies near me are envious of the stability that Austin Gutterman can boast. We have been in business for 35 years, which means decades of providing quality service to the Austin area. We are family owned and operated and feature a staff of experienced, full-time employees (not subcontractors) who get the job done right for you the first time out. You can also trust Austin Gutterman in terms of reliability. We are fully insured with Workers Comp and Liability coverage for our work. For every job and at every job site we have quality control procedures in place, and we have field supervisors who inspect work in progress on our gutter installations. Gutter companies near me can say that they perform reliable work, but at Austin Gutterman, we prove that we do every step of the way. Let Austin Gutterman take care of your gutter system needs. We stand by our record that other gutter companies near me can’t match. Contact us today for a free estimate at www.austingutterman.com. We look forward to hearing from you.